Search engines are becoming more intelligent. Google is now answering more and more search questions directly on the search results pages, and the number of voice activated searches is increasing. Website operators are concerned that they may have to drastically change their optimization strategies. So that you know what to watch out for when optimizing your website this year, we have summarized the top SEO trends for 2018. When looking at the organic search results today, it is clear that there is a lot of competition. With commercial search queries, adverts from Google Adwords take up a lot of space. 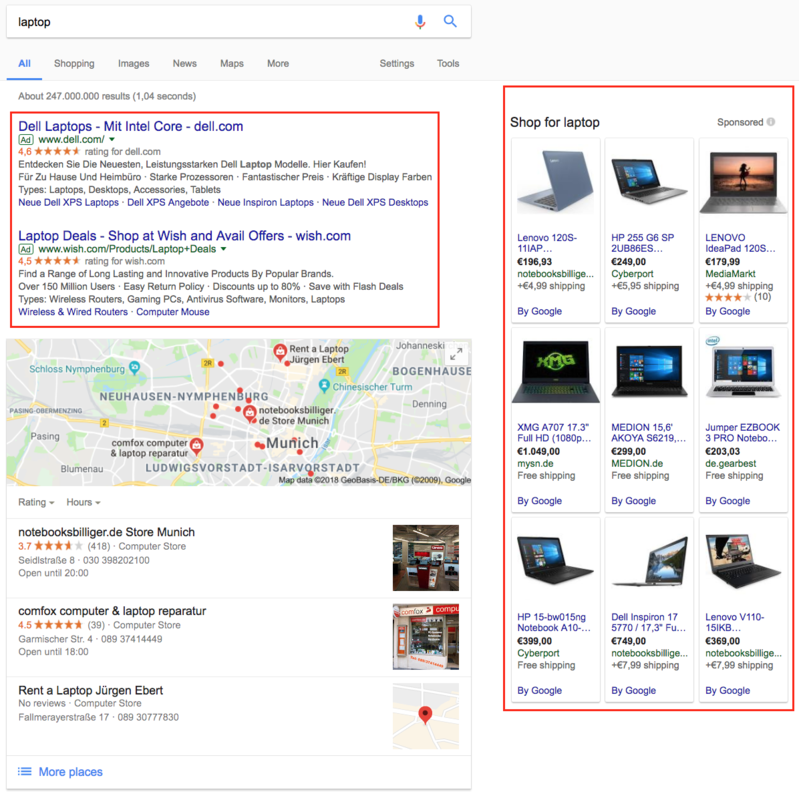 Depending on the type of search query, shopping adverts with images or text boxes, or information regarding location of stores is often shown before the organic search results. 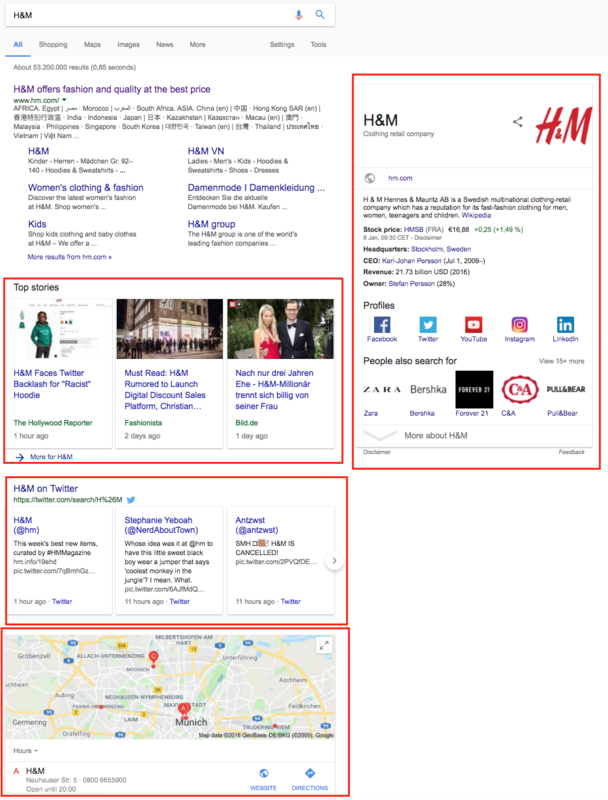 Figure 2 shows the SERPs for H&M – a wide variety of information is displayed, including knowledge graph, information about store locations, top stories, and news on twitter. As well as these additions to the search results, featured snippets will doubtless play an important role in 2018. Featured snippets satisfy the user’s need for a simple answer to a question, and the displayed content is taken from web pages that Google interprets as being the most suitable for answering the user’s question. However, it is not clear how Google deals with the trustworthiness of the pages used in each case. As well as featured snippets, Google currently also uses knowledge graphs in many search queries, usually using the data from wikipedia. Only in rare cases will both a featured snippet and knowledge graph be displayed. In the English-speaking world, Google is one step ahead further when it comes to answering search queries. In these cases, Google often uses a “People also ask” box, which can be directly clicked on by users. 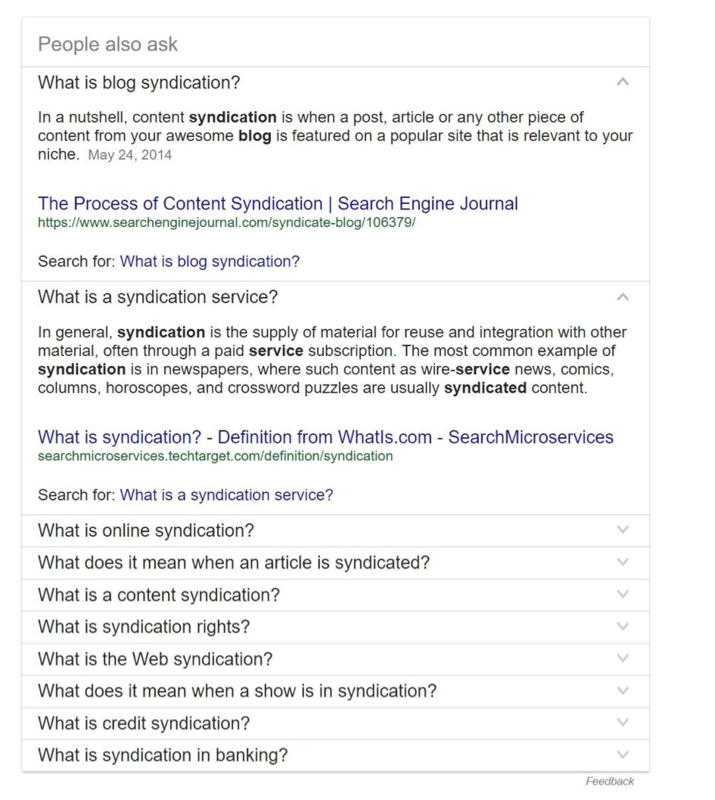 Figure 4: “People Also Ask” in the SERPs for the search term “Content Syndication”. Due to these competing elements in the SERPs, in 2018, it will be even more difficult to be visible in the top positions. When optimizing your content, it will therefore be even more important to know which goals you want to achieve. If you want your content to be displayed as a Featured Snippet, you can use question-answer sequences on the page, especially when it comes to knowledge questions. Tables with structured information can also be listed above the organic snippets. Even if the competition for the top positions in the SERPs is tough, “smaller” websites also have a good chance of ranking highly with featured snippets. Ultimately, unique, rich content with added value for the user will lead to high rankings. In 2018, you should ask yourself more often what exactly your target group wants to know when they search the web, and what topics you can cover to help them answer their questions or solve their problems. The more you meet the needs of your target group with your content, the better your chances of ranking highly. With the evolution of the SERPs, Google is using more and more structured data, meaning that the search engine can create meaningful meta-descriptions from existing content. Google also uses structured data to generate rich snippets. Since there is now less space in the SERPs for organic search results due to the factors mentioned above, you should definitely make sure your meta descriptions stand out. Rich snippets can be used to significantly increase the CTR for your website – some sources speak of an increase of up to 30 percent. Google needs to use structured data in order to display rich snippets. Anyone who speaks of “search engine optimization” today is anachronistic. Ultimately, we don’t optimize for search engines, but for the users of search engines and websites. For this reason, the user experience plays an increasingly important role. Page loading speed: you can test the loading speed of your website in Ryte’s module website success. You can also use the page-speed tool from Google to measure the performance of your page. Technically functioning websites: users are becoming increasingly demanding, and, this year in particular, they will assume that they can rely on your webste, and that it is easy to use. You should definitely no longer be using flash, for example. Mobile optimization: In most areas, more than half of all search queries are now carried out with with smartphones or tablets. Therefore, in 2018, it will be even more important to ensure that your website is optimized for mobile. Mobile optimization is now standard when creating new websites. Google uses AMP and Progressive Web Apps to show you ways to make your mobile page even faster. AMP pages are already an integral part of the Google SERPs. It can be assumed that the “AMP” theme will gain even more momentum in 2018. Even though Google’s algorithms are constantly improving, Google still needs textual content to determine the relevance of web pages to a search query. Google has improved enormously in recent years regarding the analysis of textual content, using the latest technology with Rank Brain to better understand content. This increase in quality will continue in 2018, because the system will learn increasingly on its own. Your goal should therefore be to continue offering the best content on your topic on the internet. Test your texts continuously, and ensure that they are unique and offer the user added value. TF*IDF can help with the analysis and creation of texts. This shows you which terms texts should contain to make them as relevant as possible for a particular search term. In a study conducted by Google in 2014, they found out that more than 40 percent of respondents regularly used voice-operated web searches, and for teenagers, the rate was higher than 50%. According to Google, 20% of search queries on mobile devices are now made via voice input. As digital assistants and smart home devices become more popular, users are likely to use 2018 features such as “voice search” more frequently. Since users communicate directly with the search engine during the voice-controlled search, you should rely more on longtail keywords for content optimization. At the same time, it can be helpful to anticipate possible user questions that you can answer with your content. Figure 7: Keyword tool answerthepublic.com. Over the past two years, Google has shown that the focus is increasingly on mobile. This is not surprising considering that the number of users accessing the internet on mobile devices has risen significantly, and now exceed the number of desktop users when it comes to search. However, mobile optimization only became a ranking factor in 2016. In 2017, Google finally kicked off the promotion of Accelerated Mobile Pages and improved its mobile update, and it has been announced that the “Mobile First Index” will be implemented in 2018. Accordingly, Google would prefer to use the page version in the mobile index, which is optimized for mobile devices. If your website is not yet optimized for mobile devices, you should definitely make sure of this for 2018. Every year people claim that “SEO is dead” or “Linkbuilding is dead”, but backlinks will continue to play an important role in 2018. 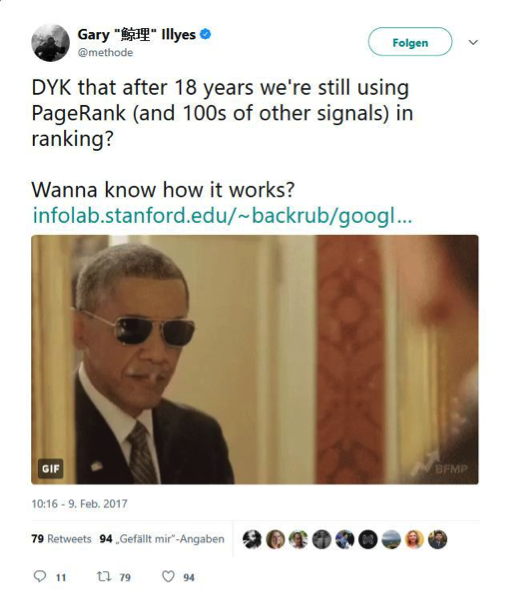 Last year Gary Illyes published on Twitter that PageRank is still an important ranking signal for Google. And Linkpower is achieved via backlinks. In fact, so-called “linkless backlinks” might even play a bigger role in 2018 – this is based on the fact that Google may also include references to web pages or trademarks on other web pages, although no direct link to the target page refers to them. You should know by now that link building via third and fourth-class article portals or guest contributions will no longer work. Instead, you should invest in unique content that users like to consume and share. There are many possibilities for this, ranging from the Listical to the detailed guide and the video tutorial. You should also use the once popular guest contributions with caution in 2018. It is no coincidence that Google warned against such contributions of inferior quality as early as May 2017. A simple rule that you can follow in 2018 when building a link: Always consider whether the link to your site really adds value to the user. Google significantly upgraded its image search in 2017. Many websites have even had to cope with traffic losses, as users no longer have to leave Google to view images and can click their way through like in a picture gallery. Google has certainly reacted to a trend by improving the image search. The fact that users are increasingly looking for images should give you the incentive to optimize your image material. Try to deliver the best pictures of your competitors, just like with texts. In 2018, as in 2017, you should think holistically about content. The content of your website is an interplay of image, text or video material that should be geared towards creating added value for users, and should cover a topic as comprehensively as possible. With Rankbrain, Google introduced a new self-learning algorithm in 2015. The (still not quite) artificial intelligence is supposed to be responsible for the search queries that have never been made before – that’s about 15 percent of the daily searches on Google. Rankbrain has meanwhile learned a lot, and Google will be able to answer even the most complex questions. We should therefore be prepared for search engines to become even better at understanding us and our target groups in 2018. This is good news for all those who work hard every day to create functioning and fast websites with great content with added value for users! Add markups to your website so that Google can use structured data for rich snippets and increase your CTR in the SERPs. Create a technically perfect website that is mobile optimized, and can be easily crawled and indexed by search engines. Don’t just think about backlinks when you publish content on other websites. Always try to satisfy the user’s need on a search term or topic to become a top-ranking website. Published on 01/08/2018 by Eva Wagner. Excellent list for SEO trends in 2018, Eva! Thank you for this great information! Headed to my site right now to rework some things! This is a wonderful and a highly insightful blog post for digital marketers. Thank you for sharing wonderful content. SEO service providersalso following such trends to stay at the top. Hii…It was so interesting to read & I feel thanks to you for posting such a good blog, keep updates regularly. digital marketing training in hyderabad it would be a best blog for Beginners. Lots of insights in this post…….. I must say regarding this post that Rank Brain algorithm enhanced search queries effectively which improve the user search…..